Alja Predan has been the artistic director of Maribor Theatre Festival Borštnikovo srečanje since 2009. 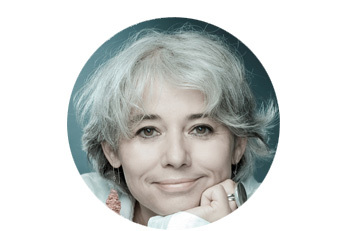 She worked as artistic director of the Drama Theatre in Nova Gorica, as curator at the City Gallery of Ljubljana, as dramaturg and editor at the City Theatre of Ljubljana and as artistic director of the Theatre and Dance Department in cultural centre Cankarjev dom Ljubljana. She also worked as an editor of a specialized theatre edition MGL books and she has published 30 books of international and indigenous theatre practitioners and theorists. She conceived and edited the book Contemporary Slovenian Drama, translated more than 60 plays from contemporary British, American, Polish, Serbian, Croatian drama, and Marvin Carlson's book Theories of the Theater. She was the program director of the Slovenian National Theatre festival Week of Slovenian Drama (2008 and 2009) and a jury member at various theatre festivals home and abroad. Carena Schlewitt studied theatre sciences in Berlin at Humboldt-University. Since 2008 Carena Schlewitt is the artistic director of Kaserne Basel (Switzerland), a centre for performing arts and music. Since 2012 she is also the artistic director of the newly founded biennial International Theaterfestival Basel. From 1985 until 1993 she worked at the department of Performing Arts&Theatre at the East-Berlin Academy of Fine Arts, until 1999 at the International Arts Centre Podewil, Berlin, and as an associate for the Festival Theater der Welt 1999, Berlin. 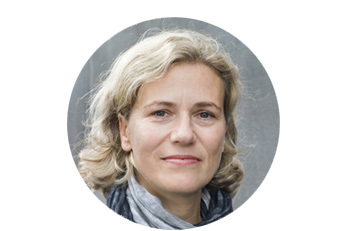 Between 1999 and 2003 she worked as a dramaturg and artistic co-director for the newly founded Forum Freies Theater in Düsseldorf and returned to Berlin in 2003 as the theatre curator for the Theater Hebbel am Ufer (HAU). Here she was responsible for the conception and realization of international co-productions, thematic projects and festivals. She was especially working on the topic of transformation processes in Eastern Germany, Eastern Europe and in China. In 2006 Schlewitt was decorated with the Polish Cross of Merit in Gold. 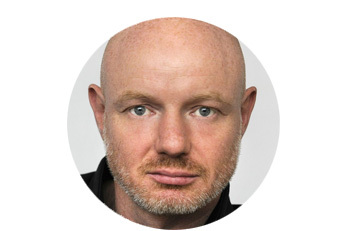 Born in East Germany, director, dramaturg and festival director Stefan Schmidtke began his theatrical career as an assistant director for the Volksbühne in Berlin, also working on television productions. He went to Moscow where he studied directing at the Russian Academy of Theatre Arts (GITIS). Schmidtke subsequently directed a number of productions at the BARACKE-stage at Deutsches Theater, Berlin, the Omsk Drama Theater, Western Siberia, and the GITIS Theatre in Moscow. In 2000, he curated the International Summer Academy for the Festival Theaterformen, part of the EXPO 2000 world exhibition in Hanover. From 2001, he worked for Luc Bondy as artistic director of the events series forum Festwochen ff for the Wiener Festwochen (Vienna Festival) in Austria. In 2006, he re-launched the Festival Theaterformen in Hanover and Braunschweig, and was the festival director in 2007 and 2008. In 2009 and 2010, he was artistic director for the international program for the European Capital of Culture Tallinn 2011 Foundation. Schmidtke has also translated numerous plays from Russian into German. He became chief dramaturg of the Düsseldorfer Schauspielhaus in 2011. In 2015 he was head of the drama program of Wiener Festwochen. Theatre Director and set designer. Graduate in Philosophy and Sciences of the Education by the Universitat de Barcelona. He is a Professor of the specialities of Interpretation and scenic Direction of the Institute of the Theatre of Barcelona. He has formed part of the Council Adviser of the Teatre Nacional de Catalunya. He was the Manager of Speciality of scenic Direction and Drama of the Institute of the Theatre of Barcelona between 2006-2009. 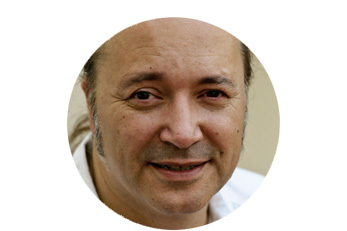 As a director and set designer, he has developed his artistic activity in the public theatre - several settings produced by the Centre Dramatic de la Generalitat, Teatre National de Catalunya, Centre Dramatic National, Teatre Lliure, as well as in private productions with other Institutions and Festivals like Teatro Fronterizo-Sala Beckett, Focus, CIRTA and other companies and musical groups. As a performer, he has participated several shows with the quintet Lisboa Zentral Café and has recorded the CD Almanac. Simó has published essays about theatre, articles in skilled magazines and wrote the prologue and edited several works, included the prologue to the Catalan edition of the Complete Theatre of Samuel Beckett. Since the 2012 edition, he is the artistic director of the Grec Festival de Barcelona, the main international event of scenic arts in the city. An Egyptian independent theatre director, translator, playwright and cultural manager. He is the founder and General Manager of Studio Emad Eddin Foundation a unique project, offering rehearsals and training spaces to independent artists in the field of performing arts in Egypt. El Attar is also the founder and the artistic director of Orient Productions, the Temple Independent Theatre Company and the D-CAF (Downtown Contemporary Arts Festival). He is also the artistic director of the Falaki theatre in Cairo. 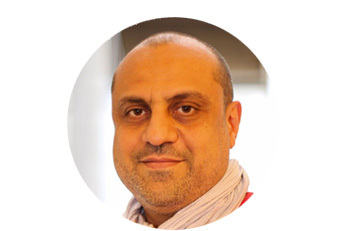 El Attar holds a BA in Theatre from the American University in Cairo (1992) and an MA in Arts and Cultural Management from Paris III Sorbonne Nouvelle (2001) and is a Chevening scholar and a Clore Leadership Programme alumni (UK- 2009), a CEC Artslink resident (USA – 2013) and is currently part of the National Arts Strategies (NAS), Executive directors program (USA). His theatre work includes: Life is beautiful or waiting for my uncle from America (2000), Mother I want to be a millionaire (2004), F**k Darwin or how I have learned to love socialism (2007) and On the importance of being an Arab (2009), The Last Supper (2014) and has been performed in Egypt, Lebanon, Jordan, Sweden, Portugal, Germany, Belgium, Holland, France, Switzerland, Italy, Croatia, Montenegro, the United Kingdom and the UAE. El Attar was chosen by the Arabic edition of Newsweek (26/4/05) as one of 42 personalities who influence change in the Arab world. Celso Curi is a producer, cultural administrator and journalist. Since 1968 he has been working in the cultural area. Executive Director of OFF Cultural Productions. Creator and Editor – “OFF Guia de Teatro” - Magazine for Theatre and Dance in São Paulo and Rio de Janeiro (since 1996). 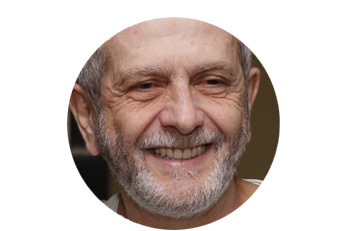 Artistic Director of the Oficina Cultural Oswald de Andrade - Secretaria da Cultura do Estado de São Paulo (since 2013). Curator of the Theatre Festival of Curitiba (since 2008). President La RED – Network of Cultural Promoters from Latin America and Caribbean (2011 – 2013). Programming Consultant PAMS - Performing Arts Market in Seoul / Korea (2014).